Transfer photo styles from one image to another with this extraordinary prototype Photoshop feature. Thanks to the latest development from researchers at Adobe and Cornell University, it looks like it's going to be harder than ever to tell 'is that Photoshopped?' This is because they have just figured out a way to transfer realistic photo styles from one image to another using ingenious AI and machine learning. You've probably seen half-baked versions of similar photo editing software applications before. In fact the technique builds on the popular concept known as style transfer, an analysis system commonly used for applying artistic filters to photographs. 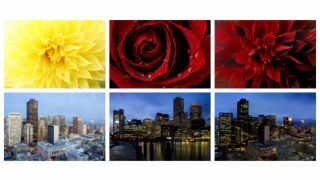 However, unlike previous systems, this AI-driven image editing technology, dubbed Deep Photo Style Transfer, can combine picture styles with photorealistic accuracy. What's more, it does this automatically and without the need to learn complicated tools. To get started, users simply have to pick a photo they'd like to edit, then choose an inspirational photo with colours or qualities they'd like to imitate. The Deep Photo Style Transfer algorithm then gets down to work and applies the changes. It can even be narrowed down and targeted to just part of an image. So if you've taken a picture of a building during the day but you want to see how it would look at night, just fire up an image taken in the evening and watch it change. The subjects of the original photo, such as buildings and foliage, will remain unaltered, but thanks to intelligent adjustments it'll look like time has passed. Thanks to the project's white paper, we can see that the algorithm runs on deep learning methods that capture lighting and colour cues from reference images and apply them in a natural way. While it's not available on any Adobe products just yet, it does tie in to its push towards artificial intelligence. So could this be an indicator of where Adobe wants to head with Photoshop? If so, it represents a major gear change in who will be able to get creative with the software. Currently Photoshop requires skilled artists to master complicated tools, but with AI technology we could be in for a wave of automated and convincing artwork.